General Motors earlier this week introduced the Chevrolet Bolt, an electric-powered small crossover by the distance of 200 miles (321.87 km). "It's really EV (electric vehicle) for everyone," said Mary Barra, CEO of GM when introducing the Chevrolet Bolt at the North America International Auto Show (NAIAS) 2015 in Detroit. Bolt is still a concept vehicle, but was mentioned already close to developed seriously. Barra suggests Bolt would be a big thing in the electric vehicle market. 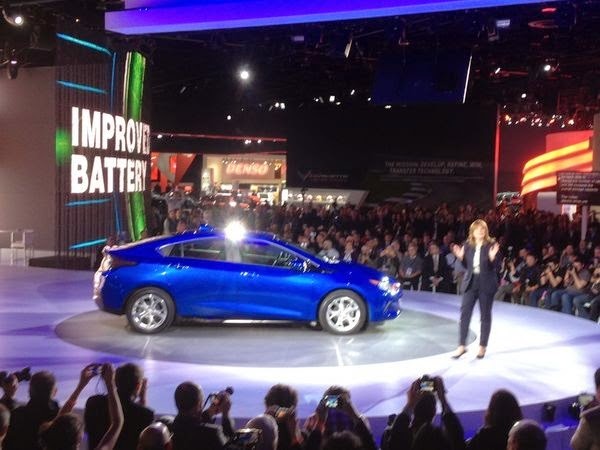 On the same occasion, Barra also introduced the all-new 2016 Chevrolet Volt, a refresher of plug-in hybrid Volt which are already four years in circulation. New Volt has the electric-powered cruising range as far as 50 miles (80.47 km), or an increasing about 30 percent of the old version.